Everything Dinosaur has added the PNSO Family Zoo range of animal models to its product portfolio. The Family Zoo range currently consists of twenty animal models, representing extant creatures as diverse as tigers, pandas, hippos, horses and dogs. Each model is hand-painted and presented in its own blister packaging. PNSO has built up a deserved reputation for the excellence of its prehistoric animal models, the “PNSO Age of Dinosaurs Toys”, now collectors have the chance to add the entire Family Zoo range to their collections. PNSO Family Zoo 10 most popular Asian animals. The ten animals in the Family Zoo Asian models range are: Brown Bear, Horse, Tiger, Goat, Wolf, Dog, Pig, Siamese Crocodile, Cow and a Panda. This might seem like an eclectic mix of animals, however, the Family Zoo Asian models represent creatures that have had an intimate relationship with our own species. 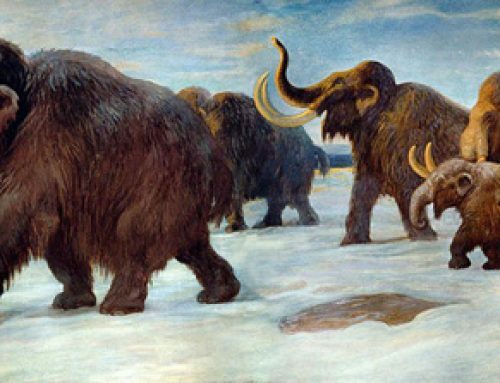 Many animals have become domesticated whilst others have been revered in different Asian cultures, the choice of animal in this range reflects the impact that these animals have had and celebrates their importance and their significance to our own species. The Family Zoo Ten Most Popular Asian Animals commemorates these creatures and their fascinating stories which are interwoven with our own history. PNSO Family Zoo Tiger model. 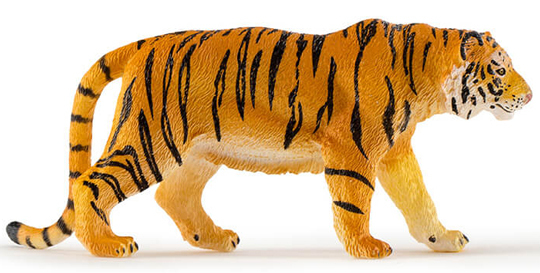 The picture shows the wonderful PNSO Family Zoo Tiger figure. Tigers are icons in both the East and the West (the oriental and occidental cultures). The animals that make up the PNSO Family Zoo ten most popular African animals in contrast, represent creatures that although very important to various human cultures, have never been successfully domesticated. This model range (all mammals), consists of Wildebeest, African Buffalo, African Lion, Spotted Hyena, Cheetah, African Elephant, Giraffe, Zebra, Hippopotamus and a Black Rhinoceros. The PNSO Family Zoo 10 most popular African animals. All the replicas in the “Asian” and “African” ranges show wonderful anatomical details and the colouration of the models is fantastic. It is hard to choose a favourite, but the Black Rhinoceros (Diceros bicornis), is amongst our favourites, it is great to see a model of this critically endangered large mammal. The PNSO Family Zoo Black Rhinoceros model. The PNSO Family Zoo Black Rhinoceros measures a fraction under eleven centimetres in length and this splendid figure is a marvellous companion to the large PNSO White Rhinoceros replica, one of three large-scale figures of iconic African mammals produced by PNSO.